Self-destructing message application Blink is vanishing into Yahoo’s growing mountain of mobile technology company take-overs. A post Wednesday at the Blink website announced that the start-up is becoming part of Yahoo but did not disclose financial terms of the deal. 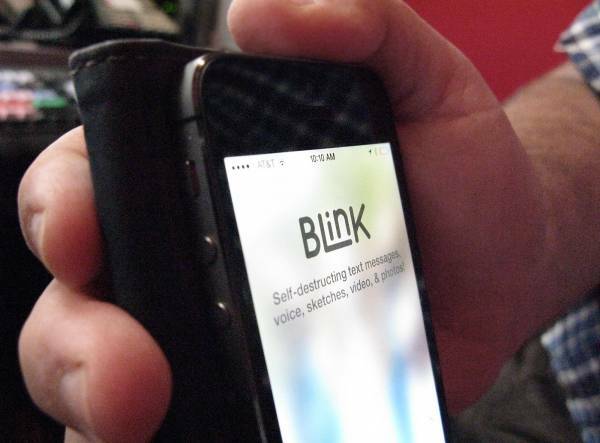 Blink said that in coming weeks it will shut down its applications for mobile devices powered by Apple or Android. No mention was made regarding what Yahoo planned to do with Blink technology that is competing with Snapchat by letting people send digital messages, pictures, or voice files designed to erase themselves shortly after being opened. “We built Blink because we believe everyone should be free to show the same honesty and spontaneity in their online conversations as they can in person,” the Blink team said in a blog post. Yahoo has been undergoing major changes since former Google executive Marissa Mayer became boss in 2012, notably acquiring what is now more than 20 start-ups including the billion-dollar buy of blog platform Tumblr. Mayer has made a priority of adapting Yahoo’s products, services, and digital content for smartphones and tablets increasingly central to Internet lifestyles.